With the pool of restaurants in U.P. Town Center, Katipunan Avenue, it could be very difficult to choose where to eat. There’s just so much variety that this place has to offer. I was walking and checking out the new block where most of the stores are yet to open and found this chic and cozy space gleaming with warm, vibrant colours. I looked closely and noticed that the interiors seem neat and very inviting. 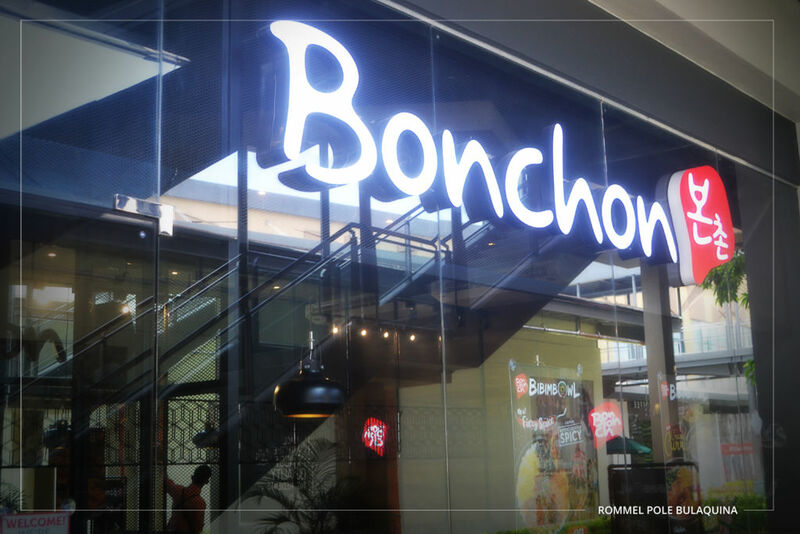 When I checked the name of the place, I was so surprised to know that it’s Bonchon, the same Bonchon we have all come to meet and craved for when it launched here in the Philippines five years ago. The store is very instagrammable in any angle. The new guise gave the well-known restaurant a fresh look and created a new vibe as part of the brand image. The staff were also sporting a new uniform looking like Rodeos with denim aprons and scarves. On the brick wall at the back, you can also see a huge, lighted image of a chicken blending nicely with the earth colored industrial fixtures. It completely looks like a modern barn. As curious as I was, I sat down on the corner table trying to remember what I used to order here during my addiction phase with their chicken. The same glazed chicken is still there but there’s now a whole lot more! The vertical LCD TV on the counter displays the new menu in full colour and animation. I almost pointed at all of the food shots flashing there but luckily, I was able to control myself. 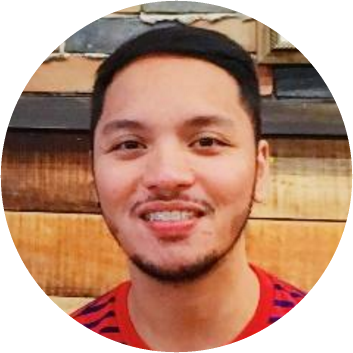 I got there at around 11am when the place was not that jam packed yet so I was able to ask questions and suggestions from the friendly restaurant personnel. She gladly suggested their Bibimbowl in Creamy Curry Sauce. I was all skeptical at first, thinking I would never put curry sauce in my bibimbap but she was very persistent and confident on how good the newest addition on their menu is, so I gave in. I went back to my table with a tray full of everything Bonchon. You could smell the strong flavours of curry even from afar and this one is served generously. It has seaweed, pickled carrots, scrambled egg, glazed chicken, and lots of rice at the bottom. 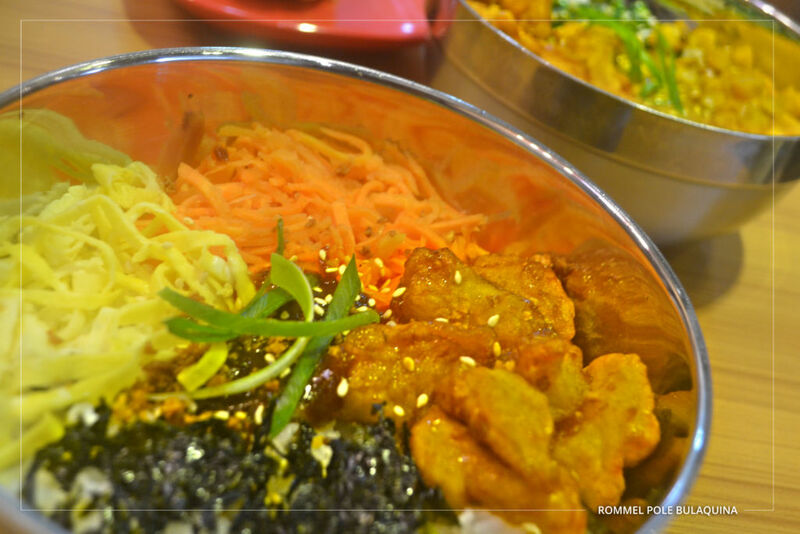 You have to mix everything just like how you would do it with your usual bibimbap. I kept mixing until the curry spread evenly on everything on the bowl. Surprisingly, the curry melded fine with the other ingredients and tasted just great. You will surely get your money’s worth on this for it only costs 99 pesos. If you want it with Bulgogi Noodle Soup and drinks, it’s 155 pesos. I also got Fried Chicken Glazed in Soy Garlic Sauce. When you’ve had enough of your conventional breaded chicken with gravy, this one is going to be a breather. It’s a completely different take from what we, Filipinos, normally prefer. You get to taste the flavour first from the outside then have real chicken goodness as you complete a bite. 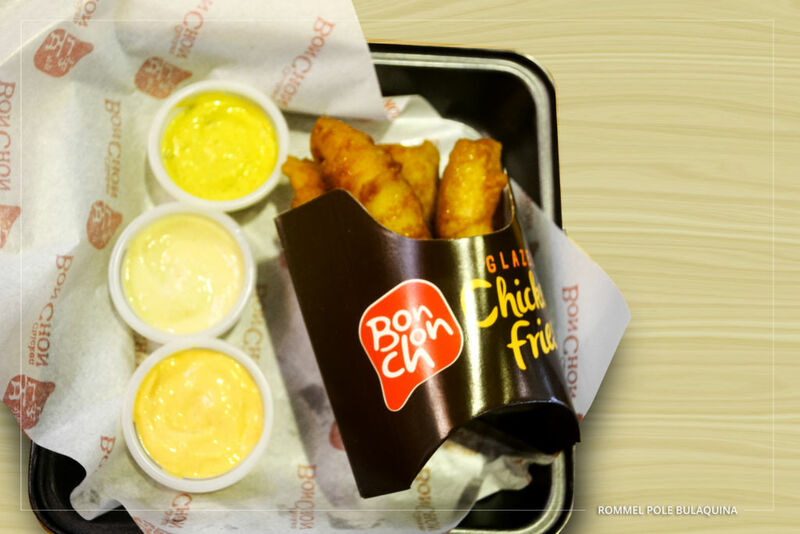 Another curious addition from their menu is the Glazed Chicken Fries that comes with two dips of your choice. I am admittedly a chicken eater and a big sucker for fries! I could have never imagined these two being combined to make one delectable piece! You can have it as a dish or you can eat it as a snack – and don’t forget to try it with their spicy mayo dip! Krazy Ko-Dog is another item from their snack line. I’m guessing it means Korean hotdog. That’s just the most logical meaning I could think of for the name. 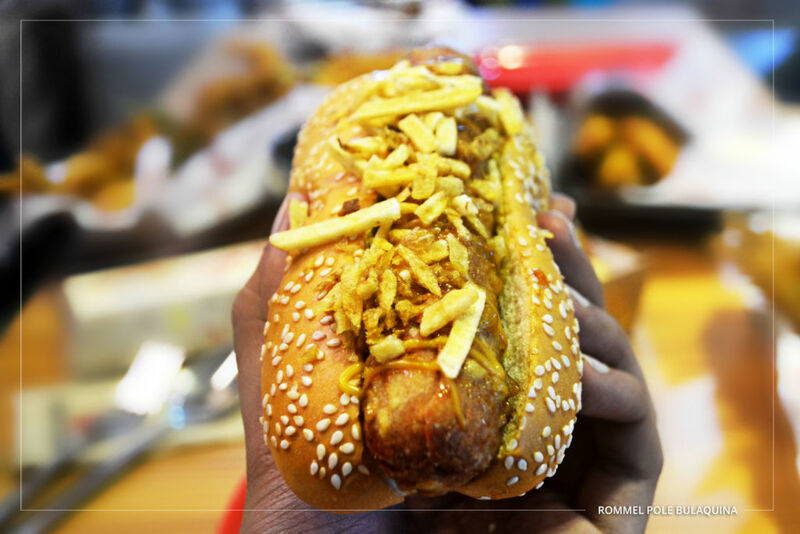 An innovation of hotdogs, Ko-Dog comes in two varieties, Bacon Kimchi and Cheesy Potato. As for me, whichever you pick between the two, you’ll still end up winning. And, oh! What puts the Ko in the dog is it’s actually glazed with their flavourful sauce! 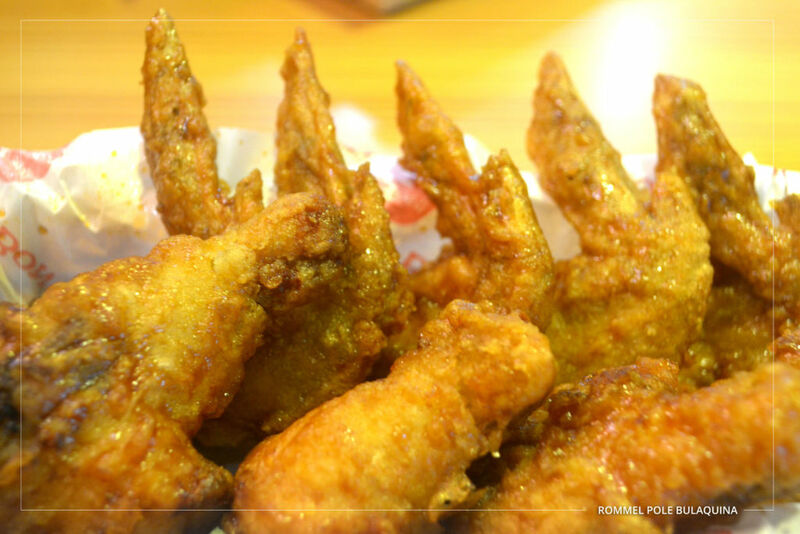 Unlike other quick service restaurants who offer seafood for a certain period of time, Bonchon has the Seafood Platter in their menu all year round. So if you’re looking for a seafood quick fix at a very reasonable price, this one right here is perfect for you. They have Crispy Shrimp, Squid, and Fish Fillet all of which is generously glazed with their special sauce. The staff mentioned that the restaurant is really trying to reaffirm its commitment to its customers to always be a brand of innovation and variety, stay relevant, and sensitive to the demands of the ever evolving market. They would like to be able to offer a wide range of products that would cater the needs and wants of their audience starting from the store layout to their menu and to their service – a total customer dining experience! It was such an awesome experience dining at Bonchon that day. The store ambience was perfect, the food choices/ menu was a delight, and the service was impeccable. It’s like eating at Bonchon for the first time again in years! I have just had my Bonchon faith renewed or as they say it in U.P. Town Center, I just got K-styled!